Las Vegas Magazine calls him, “completely entertaining.” Club owners call him, Mr. Standing O. You, will want to call your friends out to the Mississippi MOON-BAR to see one of the most entertaining live comedy shows of the year! Showtime is 8:00 PM. Admission is just $10. Diamond Jo Casino. Dubuque, IA Jan. 13 Greg Morton Live! Experience one of the wildest, craziest, most unpredictable comedy shows you’ll ever see, from one of the most well rounded entertainers in the business. 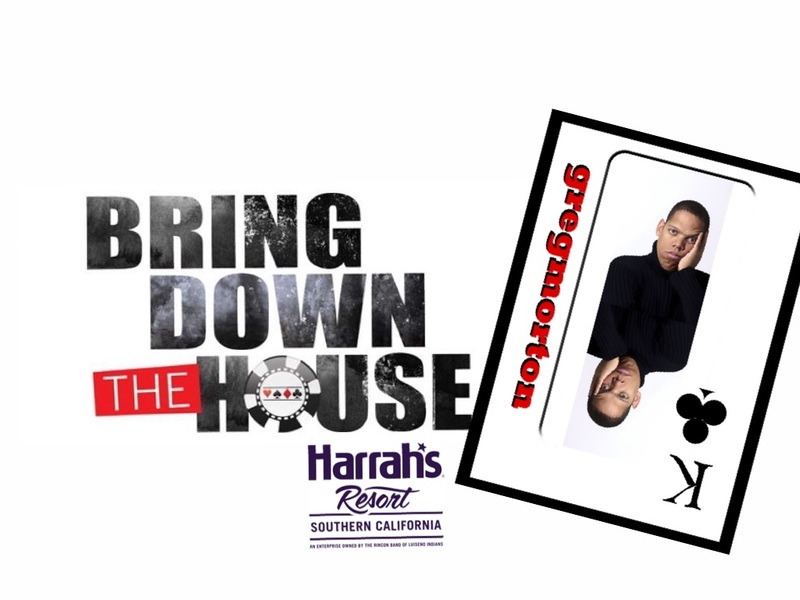 He regularly performs in Las Vegas and Atlantic City, and has been dubbed as’Mr. Standing ‘O.’ Get your tickets NOW! The Star Wars Guy returns to Jacksonville, Fl ! Don’t miss it! Get your tickets now for this highly entertaining show where anything can happen. MR. STANDING ‘O’ @GregMortonComic @ComedyCab ALL THIS WEEK! OOPS! Things just got hotter! 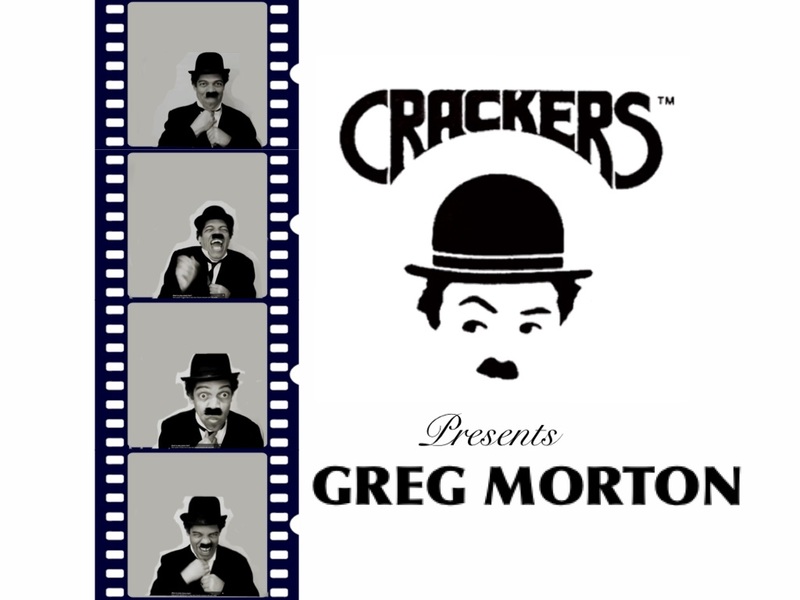 Entertainer, Comedian, Impressionist and Performer, Greg Morton comes to Myrtle Beach. 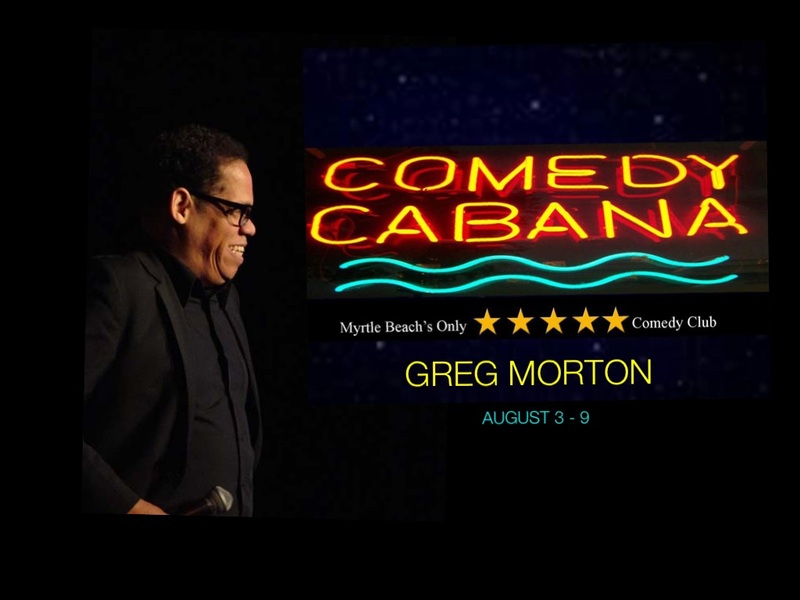 July 31, Comedian Greg Morton brings down the house at Harrah’s in the San Diego area. 2 drink minimum required to attend the show. The man of many voices. Mr. Standing ‘O’. A one man tour de farce! It’s comedian Greg Morton, bringing his special brand of comedy to Harrah’s Resort SoCal. Click this link and get your tickets, NOW! BREAKING NEWS: THIS JUST IN! After a successful week at the Scottsdale, AZ Laugh Factory, I am very happy to announce that this summer, I will be bringing my unique brand of entertainment to the famous, Hotel del Coronado, July, 9 – 11 with shows at 8:00 on Thursday, and 8:00 and 10:30 on Friday and Saturday. If you’re in the Las Vegas area between Aug. 17 – 23, stop by the Tropicana, for even more Laugh Factory laughs! For more Laugh Factory dates in my schedule, and a brand new Laugh Factory location, (yet to be disclosed) please subscribe to my web/blog. The Laugh Factory has been recognized as “The No. 1 Comedy Club in the Country” by USA Today. @GregMortonComic This week! @LoonyBinLR Mar. 11 – 14 Mr. Standing O! Lover of Looney Tunes and the man of many voices returns to The Loony Bin, in Little Rock, AK. IT’S GREG MORTON! Animator, director, and V/O actor on some of your favourite Saturday morning cartoons. Shows like, Hello Kitty, Super Mario Bros. Super Show, Police Academy, the Cartoon Series and the Scooby and Scrappy Doo Show! This is not your typical stand-up comedy show. It’s more of a one man tour de farce. A mixture of vocal impressions, improv, singing, dancing, song parodies, dancing and standup comedy. Did we mention dancing? Every show is different. No two shows are exactly the same. It’s a wild ride! Better buckle up. That’s all folks! THIS WEEK! Feb. 19 – 21 Come out of hibernation! Come out and see the Greg Morton show! No two shows are the same. A mixture of stand-up, vocal impressions, improv and musical numbers! You can’t look away. You never know what’s coming up next. It’s a one man tour de farce. Come visit the Loony Bin at its NEW LOCATION! Some mangy rodent in Pennsylvania just predicted six more weeks of winter! Why not chase away those winter blahs in a club named after a mental institution? 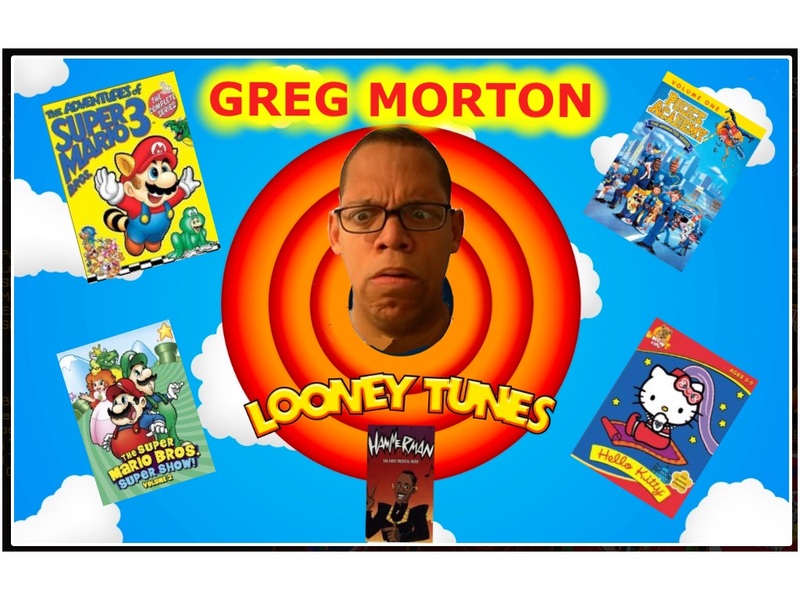 This weekend, comedian/entertainer, Greg Morton brings his one-man variety show to the Loony Bin in Wichita, KS. Part stand-up, and part impressionist, this master of improv and parody has been wowing audiences world wide. You never know what he’s going to say or do. No two shows are the same. Every performance is like a Katy Perry Half-time Show! Show times are listed below. 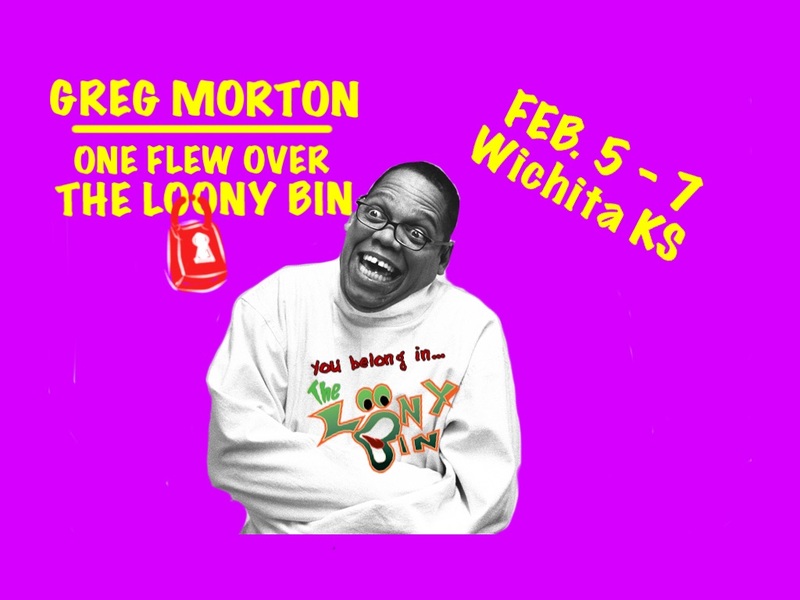 Comedian Greg Morton performs at the Loon Bin this week in Wichita, KS. Now at a NEW location.